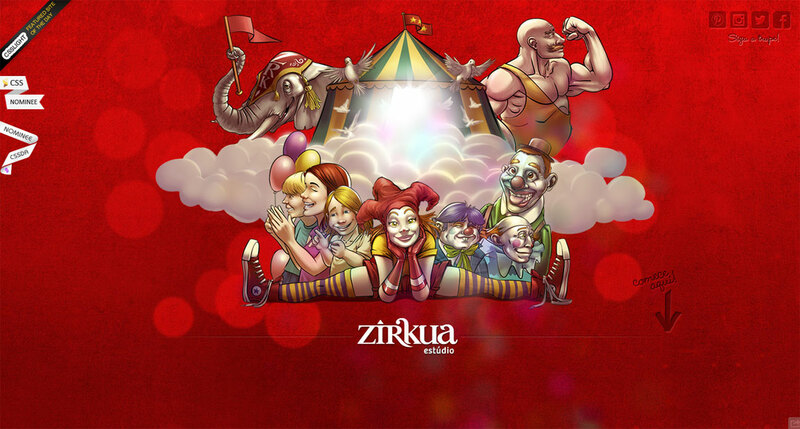 Circus themed One Page portfolio from Zirkuae Studio with some beautiful illustrations. Zírkua circus comes: a group of individuals with outstanding skills, combining art and technique to perform a great show. Our digital arena is a place where experiments are constructed to the satisfaction of the respectable public.